Boston is a place with high expectations. When it comes to sports, you can’t ever just go take your money and not play your hardest. That won’t fly. Unfortunately, there have been some cases of this very problem within the last few years. Big money free agents have signed with the Red Sox, and didn’t play near to their expectations. There are a number of reasons for this. Boston could have signed players at the start of their decline. Maybe a few players just didn’t care, or didn’t understand passionate us fans are. You have to realize that these players aren’t robots and are humans with feelings and emotions, just like us. Some just can’t handle the pressure the way others feed off of it. We get that. So a lot of the blame can also be on the front office on a lot of these deals. We’ve learned over the years that money is mostly what these free agents care about. Whoever gives them the highest paycheck is whose jersey they’ll put on. No matter the city or market. With situations like that, they almost can never end well. Sometimes you can get out of it like the Red Sox did with Carl Crawford (thank you LA). Sometimes you just can’t shake them (ahem, Sandoval). What this can do is scar some fans and make them not want to see any free agent go anywhere near their team, understandably. Now yes, of course many contracts don’t end well. But that’s not to say some don’t NOT end well, either. When J.D. 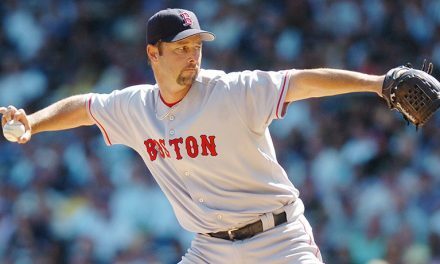 Martinez was a free agent, many Sox fans didn’t want him. Especially after his agent, Scott Boras, said the price tag on his client was $200 million. Well, really nobody wanted him after that. Dave Dombrowski talked for most of the offseason about how he was comfortable with what we already had. Was he 100% out on J.D.? No. Why give the fans any hope if it could just end up not happening? The waiting game lasted the whole offseason and into Spring Training. Eventually it ended, and on February 26, 2018 it became official. 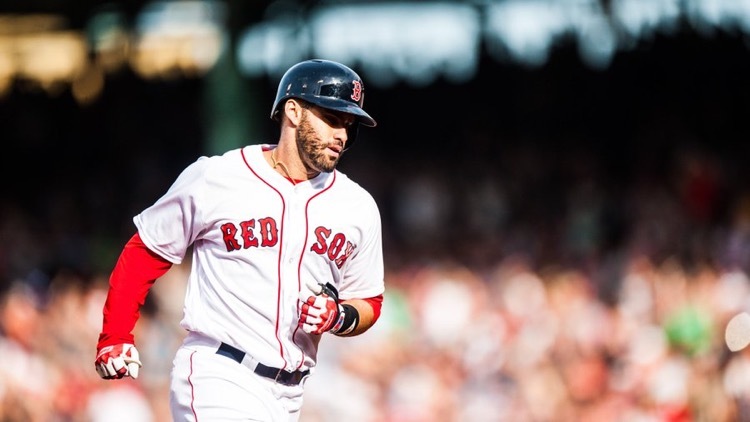 JD Martinez was the newest member on the Red Sox. The best part about it was the fact that the contract was such a steal. With the recent failures of Crawford and Sandoval, it’s still understandable for the Red Sox fan base to worry. It makes sense. But there was just a feeling that I and many Sox fans had that this one was going to be different. It was the same feeling I had with Chris Sale last year. I just knew he’d be great. He’s been beyond that since. And he has grown to be one of the most beloved players on this team. J.D. is joining him. J.D. Martinez has been unbelievable since he signed here. He has a .314/.374/.646 so far with an OPS over a thousand. Not bad! One of the things missing from last year’s team was power. He’s brought the power alright. Through 60 games, he has 21 home runs. We’re still over a month away from the All-Star break. J.D. has been everything we’ve asked for and beyond, working extra hard to stay as good as he’s been. It’s crazy to see after witnessing Pablo Sandoval do literally nothing for this team for 2 1/2 years. Martinez works on his swing all the time, taking videos of his swings during batting practice and seeing what he can do to improve. He goes up to the plate every night expecting to do well and nothing else. This sounds like a robot in a lab who’s made FOR playing in Boston. So far from what we’ve seen when it’s all said and done, J.D. Martinez may end up being one of the best free agent signings, ever. Now yes, as exciting as it has been, I along with everyone can’t get ahead of ourselves. It’s only June. There is still a lot ahead of us. It will take a lot for J.D. to be as great as guys like Papi and Pedro were to Boston. But so far he’s shown he’s capable of building himself to be a legend. He is the perfect free agent signing for the Red Sox. 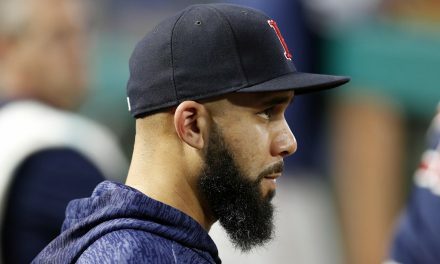 An Unexpected Hero for the Red Sox? 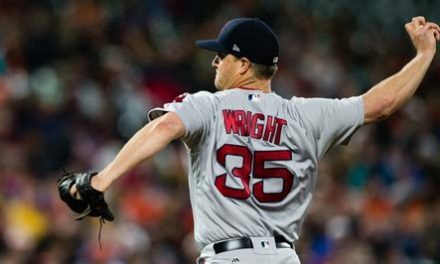 Are the Red Sox Looking to Trade for a Starting Pitcher?